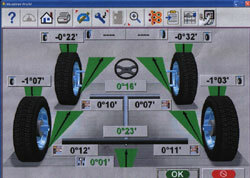 The example to the right shows a typical report finding the wheel alignment is out. The example to the left shows the same vehicle retested after carrying out the required and necessary adjustments. 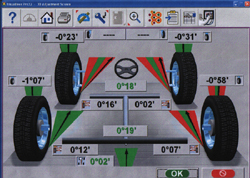 Report examples of correct and incorrect Wheel Alignment.